♣ 10% discount on all of your future purchases with secret code sent to you right after first order is placed. ♣ $10 Gift Card for friending, sharing, and tagging Runaround Sue on your Facebook, Twitter, and/or Instagram page. Send me an email to bring it to my attention once you've done so! Scroll down for my social media links, etc! ♥ Please note that I do NOT accept e-checks. Just normal Paypal payments, please. I also now accept credit cards. Movin' on up! ♥ I ship within three business days of receipt of payment. ♥ Any questions about an item, private message me, or contact me on shopatrunaroundsue [!at] gmail.com. ♥ If you really ♥ what I've handpicked, add me to your Circle! Excellent dealer -- thank you! My shop is mobile! I love doing fairs and markets in various SC cities. The idea and name of Runaround Sue Vintage was conceived several years ago on a lazy but creative Saturday in a flat on Constitution Street in my former home of Edinburgh, Scotland, with the help of a fellow vintage obsessive. The shop HQs are now (in my home) in charming old Charleston, South Carolina. I have hand-picked each and every item listed from various cites in the US and Europe. Many of these items have been my very own, and I've contributed even more memories to their existing ones. If I know of a particular story, I'll share it with you in the item description. Some things are difficult to let go of but I hope to pass each unique item on to someone who will love it all over again, in a different city, for a different reason. I love a good dig in a dusty thrift store, dark attic, or morbidly early morning yard sale. I love tags with the owners' names on them, sleeves with cigarette holes. Vintage clothing has stories; I love to imagine them. Runaround Sue Vintage believes every item you'll find here has a story or ten behind it and hopes you'll shop here to use another's nostalgia to create your own history and bespoke style. I have priced everything affordably - I think people like me (people on a budget) should have very cool things within their economical reach. Agreed? If you have any questions email me at shopatrunaroundsue [!at] gmail.com. No refunds or exchanges offered unless product is grossly misrepresented in my description. Since vintage means pre-owned, it is a given that there will be wear consistent with the item's age. If there is remarkable damage, it will be noted in the description. I will do my best to detail any damage so you know what you're getting, therefore no refunds will be issued. With so many listings going up as much as possible, it's impossible for me to find every single iddy biddy flaw, pen mark, discoloring, missing button, holes, etc. but I promise that if I see something I will tell you! Please note that colors of the item may vary slightly due to lighting, camera flash, etc. Some items have been purchased in the UK and continental Europe as well as the US, therefore sizes on the item's tags may vary depending on which country it's from. So if you see a tag photographed as a 6, it may be a UK size 6, which is closer to a US 8 or 10. 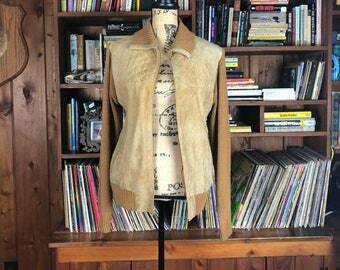 Some items are larger than the mannequin so may be pinned in the back so as to show ideal fit. Again, read the measurements carefully before buying. Measurements are taken flat, unstretched and then doubled. Some items may have a belt or scarf or other accessory pictured with the item for sale in order to give suggestions on how to wear the garment. These additional items are not for sale unless otherwise stated. I accept credit card and Paypal payments. I do not prefer Paypal e-checks and I never accept personal checks (due to previous experiences). I may occasionally accept a money order but prefer Paypal. If you do not have Paypal, it is super easy to set up and soooo convenient with so many things, so it's actually better for you as well. All items will be shipped within 3 working days after the payment has cleared. All items shipped within the US automatically get confirmation numbers. International items are untrackable. I will always have customs form numbers for international items but this doesn't make it trackable beyond the original post office date and time. I will always endeavor to choose the most cost-effective means of shipping, such as first class USPS. If you prefer priority, express, insured, etc please notify me before purchase. IF you have any concerns at all do not hesitate to get in contact. Runaround Sue Vintage will endeavor to respond as quickly as possible.